Claggan is a tiny island off Achill. It is the newest Mayo’s island having only being declared an island in 1991. 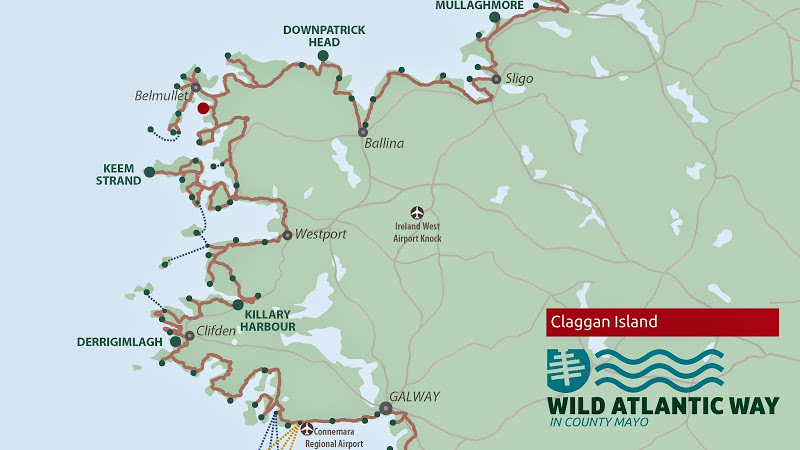 It is situated on Blacksod Bay about 12 km from Belmullet. The island is not a proper island as it is at the end of a long narrow sandy causeway. It boasts beautiful sandy beaches in every direction you look.